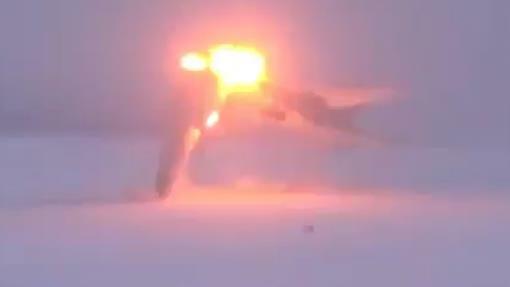 FOOTAGE has emerged of a Russian bomber plane disintegrating in flames as it lands in an Arctic blizzard. 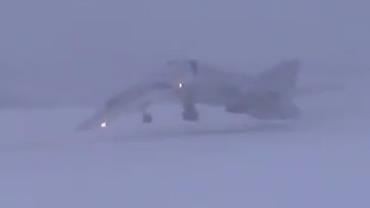 The images show the front section coming away from the rest of the Tupolev-22M3 aircraft when it touches down at the Olenya air base on the Kola Peninsula. The nose then sticks in the ground before the plane explodes. Russian investigators claim the pilot Major Alexey Guryev failed to properly level up the Soviet-era jet as he came in to land. 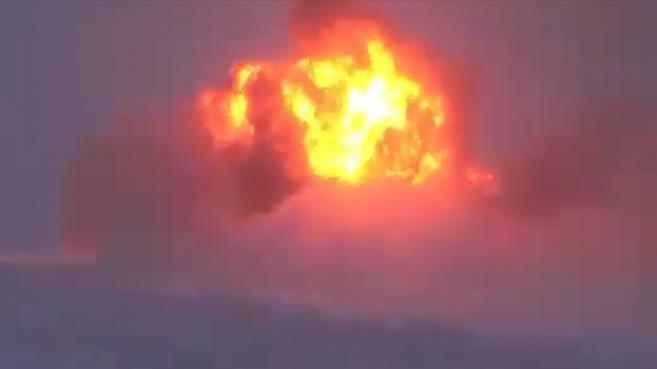 The nuclear-capable plane is said to have had no missiles aboard during the crash on Tuesday, which also killed co-pilot Konstantin Mazunin and navigator Viktor Greyf. A fourth crewman survived with serious injuries.